Guest Mary Kirby is Editor in Chief of the Airline Passenger Experience magazine and the APEX media platform. She has extensive experience as an aviation industry journalist. Mary gives us some observations from the Aircraft Interiors Expo 2013 held in Hamburg April 9-11, 2013, including ultra-slim seats and positive hopes for passenger use of Personal Electronic Devices. IFE and connectivity are becoming the cost of doing business for airlines, and the inflight experience is approaching the multi-screen experience that people have now in their living rooms. Mary proves she was right and Max was wrong when he predicted that IFE systems would be replaced by passenger owned entertainment content. If fact, we’re seeing more screens inflight and more aircraft are now ordered with embedded IFE. We talk about who the inflight connectivity players are and what they are doing, and their participation in social media, including Panasonic Avionics, Gogo, OnAir. Jetblue has agressive plans with Live TV. Reaching out to consumers through social media is new for the IFE industry, and Mary believes this B2B2C communication is not only taking over the IFE world, but we may see the same with interiors. Speaking of interiors, Mary gives us some observations about the A350XWB and B787 interiors as they relate to the passenger experience. Find Mary Kirby at the APEX Editor’s Blog and on Twitter as @APEXmary. Follow APEX as @theAPEXassoc. Hottie in seat 17D? Send her a drink! For a little change of pace, David relates historical aviation events to the all the aviation geek birthdays occurring around this time. United 747 collides with aerobridge at Melbourne Airport. Virgin Australia finally gets approval to buy 60% of Tiger Airways, while Singapore Airlines buys a chunk of Virgin Australia from Richard Branson. 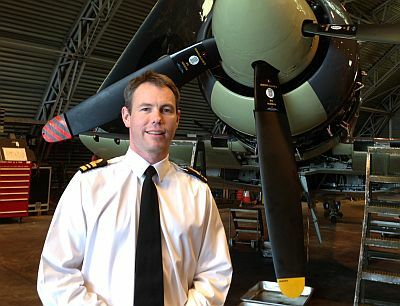 Returning to the Royal Navy Historic Flight we talk to Lieutenant Commander Ian Sloan about over wintering the aircraft and preparing for the airshow season. Flight 405 – DC10 Landing at The Highway! 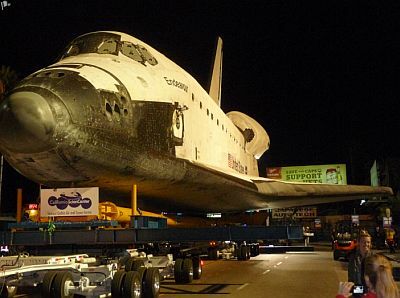 Moving the Endeavour from LAX to the Science Center by Brian T. Coleman. 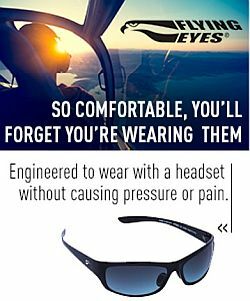 This entry was posted in Episodes and tagged A350, B787, inflight entertainment, interiors on May 1, 2013 by maxflight. What’s anaconda airlines? Seems like an inside story I haven’t heard of before.